Football season won’t be here for another month and a half. Preseason practices don’t even start for NFL teams until later this month, while the colleges don’t kick off until late August. But expectations couldn’t be higher for both the Tennessee State Tigers and Nashville’s NFL entry the Titans, especially after two prestigious publications gave both teams high marks before their respective seasons begin. Street & Smith, long one of the premier college and pro football and basketball publications, had two Ohio Valley Conference teams highly ranked in their preseason issue that is now available on newsstands. Jacksonville State has been a perennial Top 10 pick in FCS rankings, and they have also dominated the OVC recently, winning three straight titles. Street and Smith once again tabs them as the prospective league champion, while also giving them a preseason ranking of fifth in the nation. But the more exciting local news is that they have picked Tennessee State to be second in the conference and also number 21 nationally. The Tigers are coming off a 7-4 season. Plus the magazine expects big things from defensive lineman Ebenezer Ogundeko. They have labeled him the conference top NFL prospect. Ogundeko was off to a great start last year, but then injuries took their toll, and he didn’t end up having the season anticipated. If he can stay healthy and have the kind of year that is projected, he’s a possible OVC Defensive Player of the Year candidate, as well as potential All-American and NFL draft pick. Head coach Rod Reed will be seeking more defensive stability and more consistent QB play when the Tigers open the season on the road against Georgia State next month. It was just two years ago that longtime NFL observer Peter King, writing in his influential online publication “Monday Morning Quarterback,” labeled the Titans as the worse team in the NFL. That edition went on to earn that rating with a horrendous 2-14 year that got Ken Wisenhunt fired among other things and led to a housecleaning throughout the franchise. The results began to blossom last season, as the Titans went 9-7 and just missed the playoffs, their chances ruined by an abysmal loss at Jacksonville in the next-to-last game of the season. Now Pro Football Focus, the prime analytics publication for the NFL, judges their roster the third most talented in the NFL for the 2017 season. While that may be overly high, there’s no doubt now that the Titans are expected to at minimum make the playoffs. 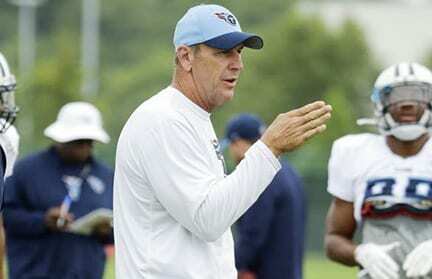 Head coach Mike Mularkey has already spread the word that no one should be resting on their laurels from last season, and that the team will not be satisfied simply winning nine games and not being in the postseason. The first step towards that happening has to be improvement in divisional play. Last’s year’s 2-4 AFC South mark cost the Titans dearly, as Houston went 5-1 in the division and thus qualified for the playoffs. The Titans need to go at least 3-3 and preferably 4-2 or 5-1 to ensure having the tiebreaker in any close situation. Still, no matter what happens this season, TSU and Titans fans know their squads will be competitive. Whether they can take the next step to reach the playoffs and even compete for titles remains to be seen.